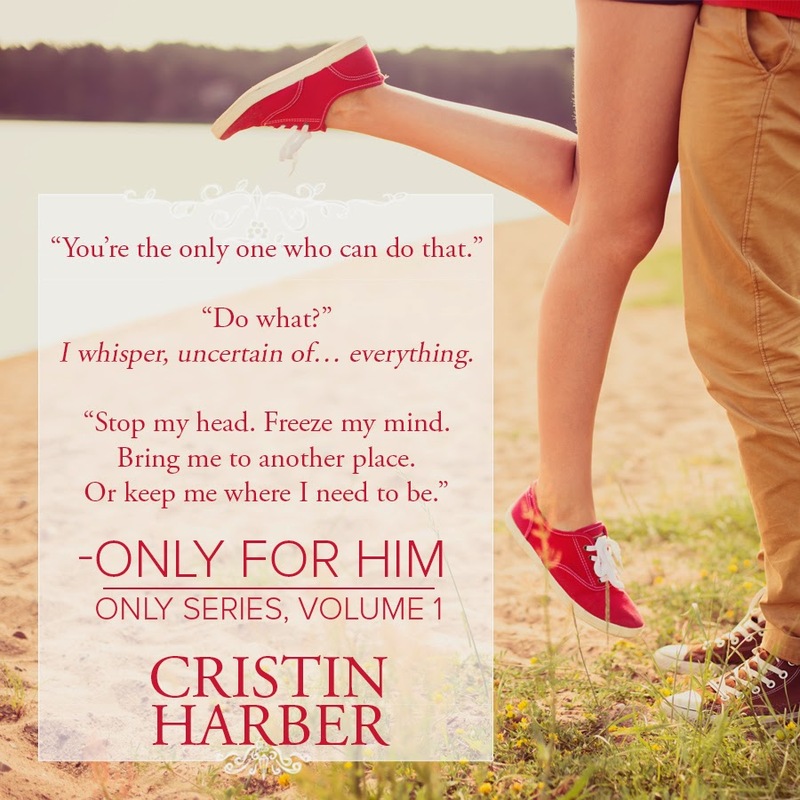 ONLY FOR HIM by Cristin Harber is available now! You guys seriously HAVE to read this, if you haven't already! It's quickly becoming one of my favorite reads of 2015! My lungs ache. My heart’s exploding, and my senses are hyper-alive. My lips part, wanting to tell him a story, wanting to kiss him more than I want to breathe. My eyelashes flutter. “Closed, Ems.” His low voice rakes over me. I’m dying. In heaven. Right now. His side touches my side. The heat from his body covers mine. His soft breaths torture my cheek… my chin… then hover over my lips. Unable to control myself, I feel my hips shift. My chin tilts up. Anticipation squeezes deep into my soul. He’s watching me. My eyes are still shut, but I can feel his gaze as his finger touches my hair, sliding down the strands to the slope of my collarbone. I’m ready—swooning, melting, panting—for a kiss.